WWE Evolution 2018, All Female Superstar PPV, Matches Leaked? 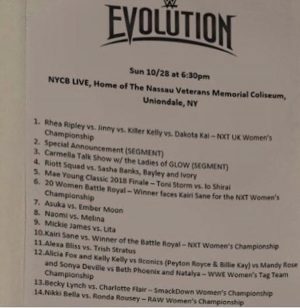 New WWE Women’s Tag Team Championship Belts To Debut? 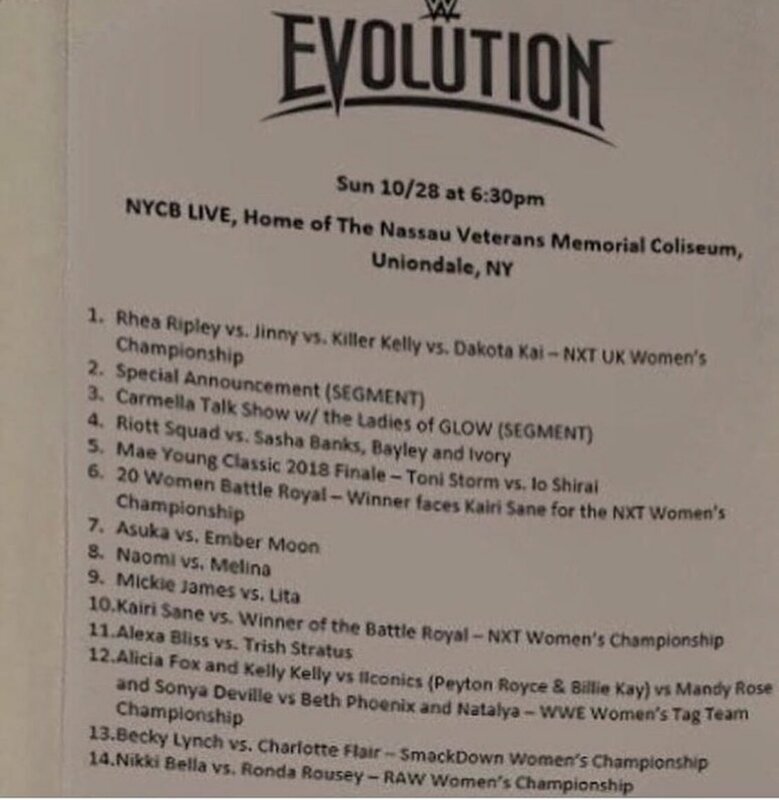 This is the leaked / rumored call sheet of WWE Evolution 2018 that has been circulating online. 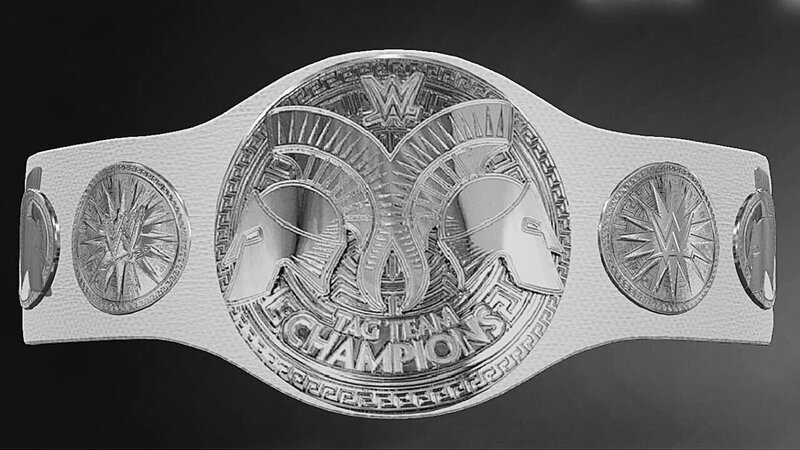 Expect the WWE Women’s Championship Belt to look like the Raw and Smackdown Tag Team Championship belts, but with white straps similar to approach of the Women’s championships for Raw and Smackdown. This is an image that has been circulating on social media. WWE may well make the warriors on the metal Amazon warriors with similar helmets, but we’ll see. It is also rumored that the new WWE Women’s Tag Team Championship belts would be defended on both Raw and Smackdown Live. 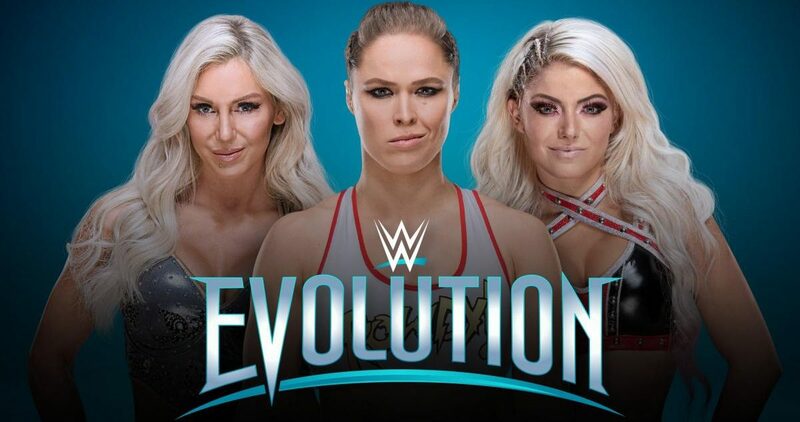 In terms of full-time superstars looks like the IIconics or Rose / Deville woould win. My money’s on Rose / Deville.